Scale Model News: SCI-FI FANS GET READY - MORE MASCHINEN KRIEGER INCOMING! 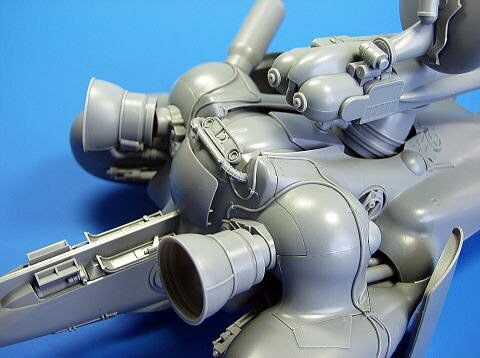 SCI-FI FANS GET READY - MORE MASCHINEN KRIEGER INCOMING! 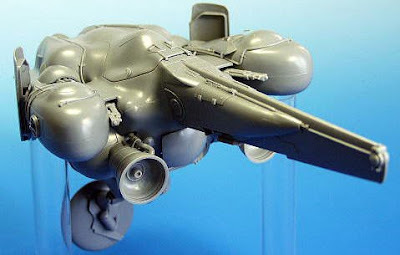 Hasegawa’s new take on the Ma. 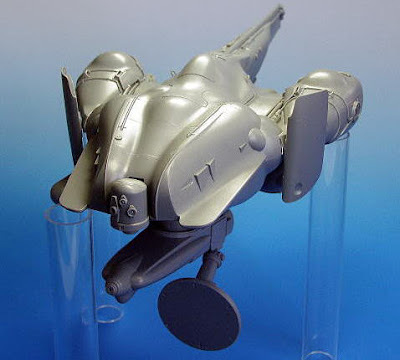 K (Maschinen Krieger) sci-fi universe, first created back in the 1980s by Japanese artist Kow Yokoyama, continues to expand, with a new combat craft soon to be available to 1:35 scale. The Lunadiver Stingray from the Ma. K Mercenary Army looks to be a neatly crafted addition to the Hasegawa range, and a delight for all sci-fi buffs. It’ll fit neatly on a sheet of A4 paper, at 303 mm (11.9 in) long by 163 mm (6.4 in) across the bulging side pods. 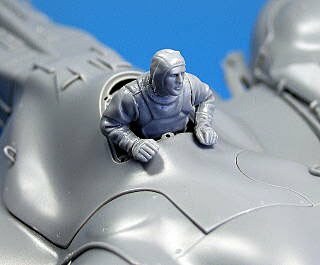 There are two well-sculpted figures included - and as it’s to the popular military 1:35 scale, you’ve got a wealth of choice for any extra figures you might care to add. A set of modern military figures, equipped with high-tech combat gear would complement the Lunadiver Stingray well, and of course they can be reconfigured in any way you like to ‘science-fictionalize’ them. The Hasegawa 1:25 scale Lunadiver Stingray should be available before Christmas. There’s a nice dirtied-up Lunadiver here.